The Director of a local film that will be called Monster Slayer called the other day and hired me to build a prop for his film. 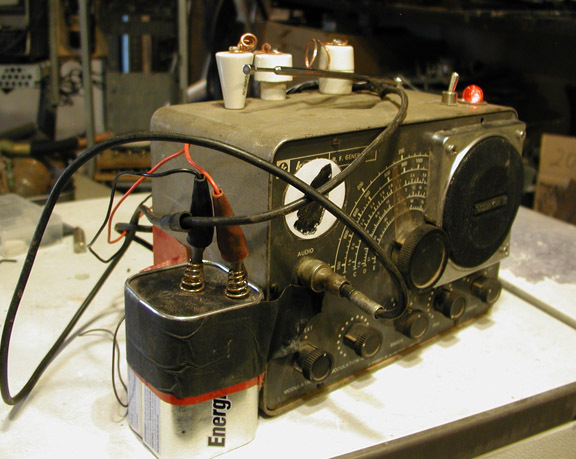 The prop needed to be a portable radio that looked home-made/modified. Here’s the photo of it after return from the first location shoot. This entry was posted in Film props and tagged film props, Monster Slayer, Monster Slayer Project, Radio on August 2, 2013 by Steve Storz.